Big weekend, biiig weekend here around Boston. We've got the Pats, the Red Sox and these fantastic open houses? Game on! OPEN HOUSE: Saturday, 10/13 1:00 p.m. – 2:30 p.m., Sunday, 10/14 1:00 p.m. – 2:30 p.m.
Are you looking for that something special? 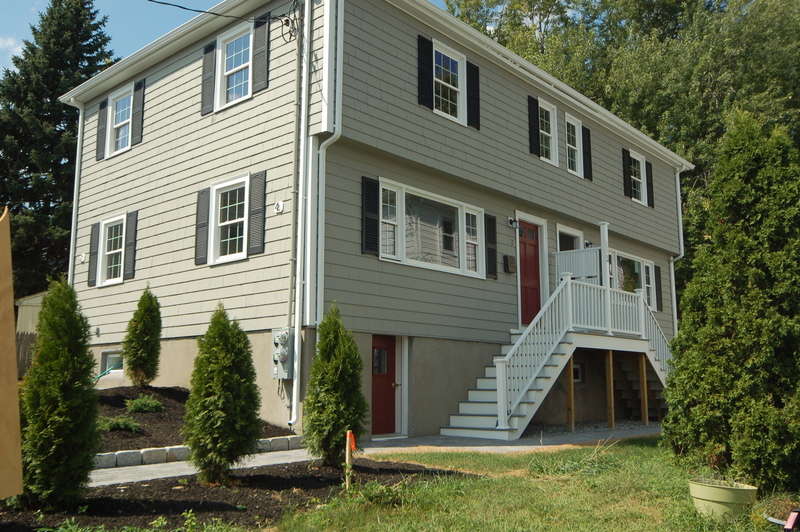 Is it a renovated 2 family in a highly desirable location? Is central air conditioning on your must have? Do you want to be close to the Cambridge, Somerville, Medford line? Are you dreaming of gleaming white kitchens with beautiful counter tops and stainless appliances? Would you like finished basements that offer flexible space and beautiful tiled baths with stand-up showers? Do updated systems pique your interest? The recently painted exterior offers easy maintenance. A large deck off the back unit is a perfect place to relax and enjoy fall evenings. The front unit offers a patio which is a great place for grilling! If you are looking for an investment or an owner occupied 2 family with some help paying the bills then this place is not to be missed! 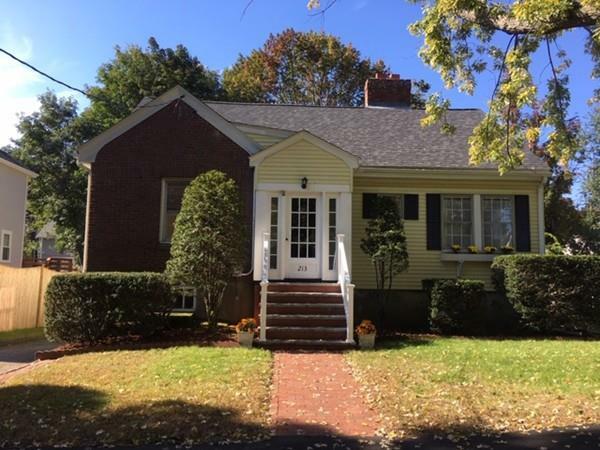 Convenient local easily accessible to the West Medford Commuter Rail, and close to shops restaurants and other public transportation giving you so many options to get around town! Are you looking for a home that checks all your boxes? Come check out DeNapoli Farms, built to fit your life and your style! What does the DeNapoli Farms lifestyle look like? It begins w/oversized garage leading into a spacious mudroom w/custom built-ins and flows into an expansive gourmet kitchen w/large island to gather around. Open concept 1st fl offers flex space around the kitchen and fireplaced living room. A walk-in pantry is a must have! It means relaxing in the serene master suite w/exceptional bath & huge closet. 2 beds, main bath, & laundry room w/utility sink cover the rest of the 2nd fl. If you have guests coming to town there is a wonderful private guest suite on the 3rd Fl. Top it off with a location that is tucked away w/4 gorgeous farmhouse-style homes, private yards & patios, all close to shopping, restaurants, beautiful parks & public transportation. The boxes are checked, the homes are ready and it's time to check new home at DeNapoli Farms off your to-do list! OPEN HOUSE: Saturday, 10/13 11:00 a.m. – 12:30 p.m., Sunday, 10/14 11:00 a.m. – 12:30 p.m. 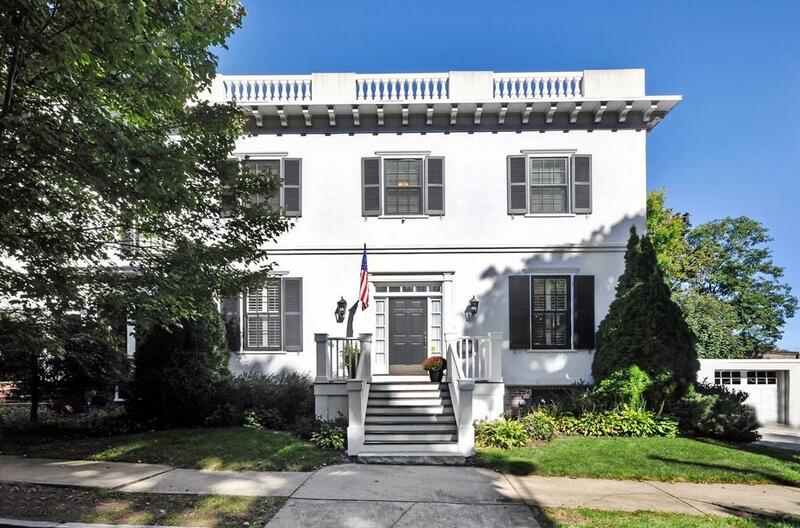 Stunning restoration of a historic property located in the heart of Arlington Center! 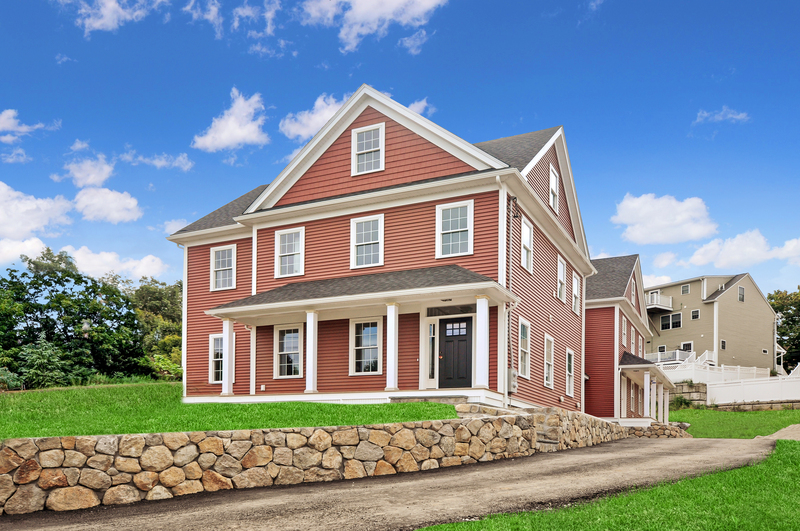 This superb location is just around the corner from restaurants, name dropping coffee shops, shopping, and The Minuteman Bikeway. This special condo was gut renovated in 2006 and checks all the boxes on your wish list. Circular floor plan offers that open concept feeling but with old world charm. The jaw dropping kitchen offers immense counter space for cooking, a pantry for your gadgets, and plenty of entertaining space. High ceilings, beautiful molding, a fireplaced living room and study with French doors and built-ins complete the main level. The master bedroom offers en-suite bath with tiled shower and tub. 2 other beds with jack-and-jill bath and laundry room complete the 2nd fl. The piece de resistance is the 3rd fl roof deck that is a dream come true! A full finished basement w/ mudroom, bath & an office, playroom, media room - or all three! Garage parking and patio space complete the package! Freshly painted, floors re-finished, landscaped, newer roof & front steps, well maintained and move in ready, this is a terrific home, just waiting for you! Enter through a french door/vestibule, then into the gracious living room, with fireplace and beamed ceiling. The living room opens to a dining room, with easy access to a charming kitchen, offering open shelving with space to eat in and hang out. Off the dining room, you can watch the seasons from your sun room, with French doors and direct access to the sizable back deck, overlooking the garden. The first floor boasts two bedrooms, or guest space and a den/office, plus a full bath. The private second floor offers a master bedroom, with walk in closet and a master bath, plus an additional bedroom with built ins! A great location, close to Dallin school, bus lines, major routes, Red Line, Cambridge & Boston. This four bedroom home offers plenty of space and room to grow! Enjoy all that Arlington has to offer from your own home! OPEN HOUSE: Saturday, 10/13 1:30 p.m. – 3:00 p.m., Sunday, 10/14 1:30 p.m. – 3:00 p.m. 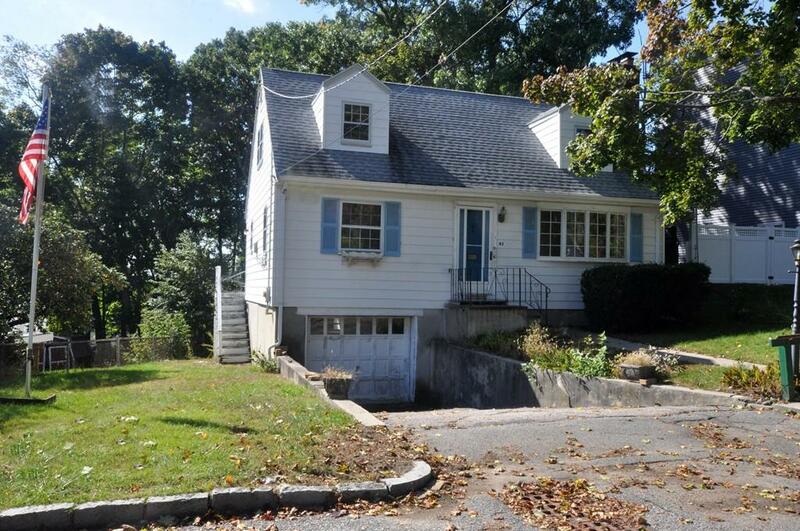 Located in the Stratton school district this quaint Cape style home offers 3 beds and 1 bath. Grab your contractor, your HGTV ideas, and put your Pinterest board to use to turn this into your own Home Sweet Home! There is a lovely living room with fireplace, convenient main-level bedroom, an eat-in kitchen, and dining room. The circular flow of the main level offers great entertaining opportunities! Off the kitchen is a screened porch to enjoy the outdoors “bug-free”. Upstairs offers 2 good sized bedrooms, hardwood floors, and ample storage space. A garage parking space and some storage space in the basement are and added bonus! This is a great starter home to begin your life in Arlington, or a perfect downsizing opportunity that keeps you close to what you love. This is a great opportunity to join break into the Arlington housing market!